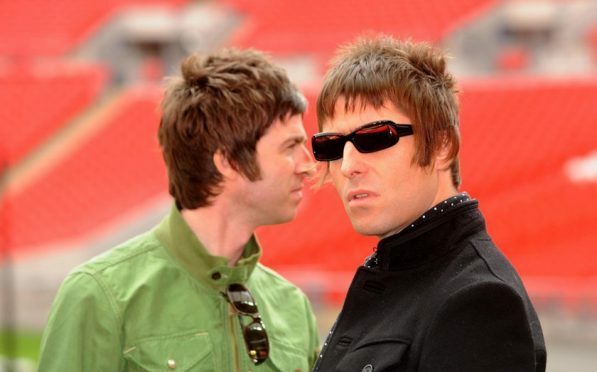 Liam and Noel Gallagher have reached a Christmas truce, the younger Oasis brother has revealed. The pair, whose regular spats caused the Mancunian band to split in 2009, are “all good again” according to Liam. The former Oasis frontman, who released his debut solo album As You Were earlier this year, took to Twitter to wish Noel a merry Christmas. Confused fans questioned his post as Liam tends to criticise his brother on social media. Liam replied: “He’s already reached out …. We’re all good again”. But fans hoping for a musical reunion may be getting their hopes up. Earlier this year Noel said Oasis getting back together would “kill me as a person”. The comment came as he was promoting his own solo record, the third under his Noel Gallagher’s High Flying Birds moniker, while Liam has also offered his own barbs throughout 2017.